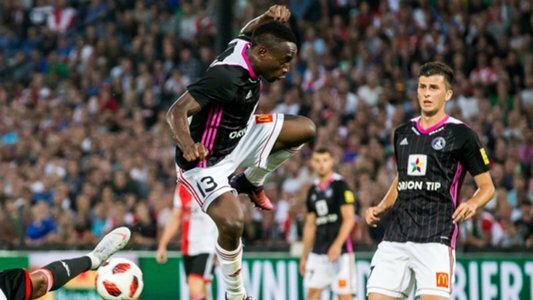 Belgian club KAA Gent have confirmed the signing of Nigerian winger Philip Azango from AS Trencin on a 3-year deal for an undisclosed fee. The 21-year-old is the third Nigerian winger to join KAA Gent from AS Trencin in recent seasons, after Moses Simon and Samuel Kalu. “Philip Azango Elayo has signed a contract for 3 seasons at KAA Gent,” read a statement on the club website. The young Nigeria striker made 22 league appearances, scoring thrice last season for the Slovak outfit.